A few days ago I went to say goodbye to this little corner of Disneyland. A year or so from now the area may still look similar, but it will no longer be home to Big Thunder Ranch. And it certainly won’t be as quiet and empty of people, since it will be home to the entrance to Star Wars Land. 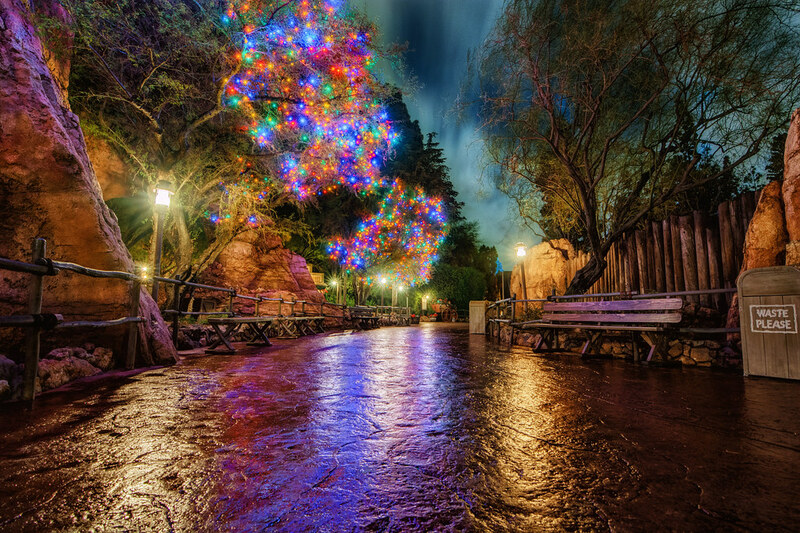 This entry was posted in Frontierland and tagged BBQ, Big Thunder, Christmas, Ranch, Trail. Bookmark the permalink.